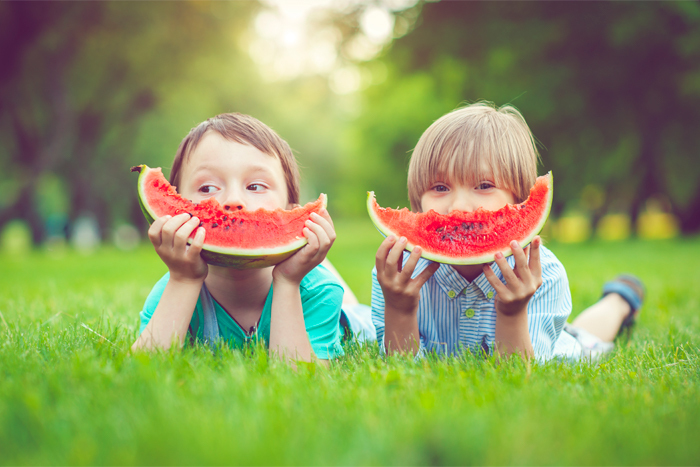 Sometimes, our kids need a little snack between school pick-up and dinner time, but what can we give them that won’t ruin their appetites or send them into a sugar-induced frenzy? After school snacks need to be convenient and easy to transport, as well as nutritious. Here are our favourite off-the-shelf after school alternatives to sweets and crisps. Try them out this summer and find out which ones your little ones love. 1. Oat cakes – we love the cheesy gluten-free ones from Nairns. They come in handy little plastic packets containing five cakes, the perfect size for the journey home. 2. Marmite rice cakes – low on calories and a good source of vitamin B, now available in packets. 3. We love the Bear range of healthy snacks from fruity yoyos to claws and paws. Yum. 4. Dried fruits such as mangos and apples make a nice, naturally sweet pick-me-up after a long day at school. Just make sure you choose dried fruits that don’t have extra sugar added. Generally, dried fruits to avoid are pineapple (usually has added refined sugar) and bananas (which are deep fried first). Good choices are apples, apricots, mangos, cherries, figs and blueberries. 5. Boxes of raisins – a delicious antioxidant rich, low fat, high-energy snack! 6. Ella’s Kitchen – although my kids are older now, they still love the fruit and veg pouches from Ella’s kitchen, especially the Smoothie Fruits range. 7. Popcorn is a good snack food as long as it is not drenched in oil, salt and sugar! Check the label for sodium and sugar content. Air popped popcorn is much healthier than that cooked in oil. 8. Bags of pre-cut baton shaped carrots – my kids have been known to chomp through a whole bag of these before we’ve even left the playground. 9. Little slabs of cheese make a good, protein filled snack for those children who can tolerate dairy. Avoid highly processed cheeses aimed at kids and stick with the plain, non-gimmicky, organic cheeses that are available in handy snack sizes. 10. Fresh fruit – bananas are extra delicious delicious slightly chilled or what about berries or watermelon now that it’s summer. All of these delicious snacks are available from our groceries partner Sainsbury’s, remember to use KidStart to get up to £2 back for your kids too! Does your family have a favourite healthy after school snack?